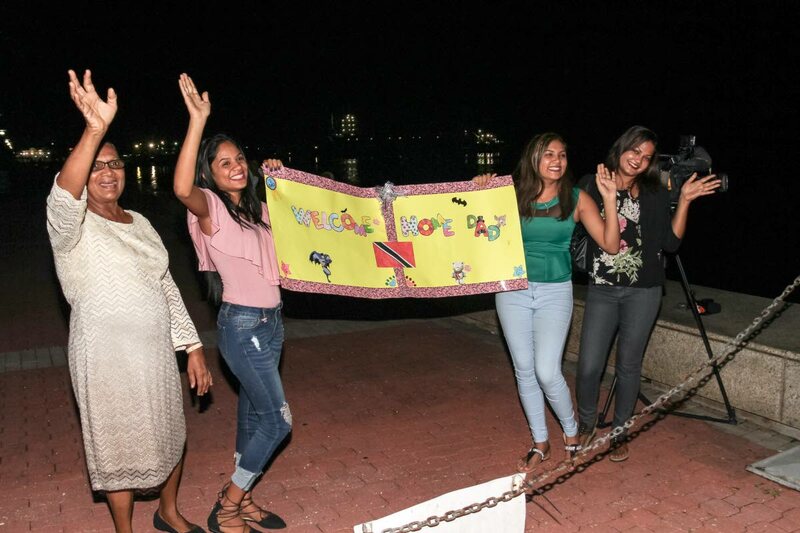 RELIEF and pride in equal portions filled the heart of Krystle Khan, wife of captain Alister Khan who on Monday returned to TT on the Galleons Passage from China. Newsday asked how the family had coped during the repeated delays in the vessel’s arrival to TT. She said the family closely supported each other during the wait. Did she feel pride in her husband’s accomplishment, bringing the vessel to TT in a voyage of thousands of miles? Asked if she had any special celebration lined up for her husband, Krystle replied, “Well maybe when everything dies down, then. But nothing until then.” She said Khan has many replies to give to questions. “You know, the media and work-wise the ministers. So eventually something will be put in place.” Khan himself was yesterday calm and unfazed at the length of the trip, in contrast to his wife’s clear relief that he was home. He spoke to Newsday during yesterday’s media tour of the boat. Asked how the trip was, he said, “The trip was beautiful. It was beautiful. “The weather will always have its ups and downs. You won’t have all good days only. But it was okay.” Asked to comment on the heated debate in TT surrounding the vessel’s delayed journey, he replied, “Honestly, I haven’t heard anything.” While Khan is a qualified ship captain, he did not physically captain the Galleons Passage – a task that fell to Lithuanian national, Valerij Rogac. Built in China, the vessel was brought for US$17.4 million by Nidco from the Sea Transport Corporation of Australia and partially retrofitted in Cuba. While acquired to service the Trinidad-Tobago seabridge, the boat was subject of repeated delays, concerns about the process of its procurement and queries over whether it is fit for service. Reply to "Wife proud of hubby captain"